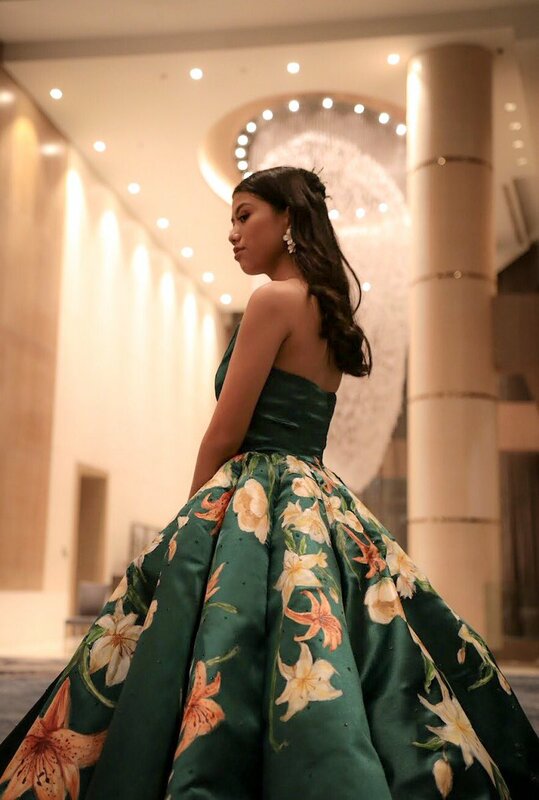 A 17-year-old young artist captivated hundreds of thousands of people after sewing and designing her own gown for her graduation ball. 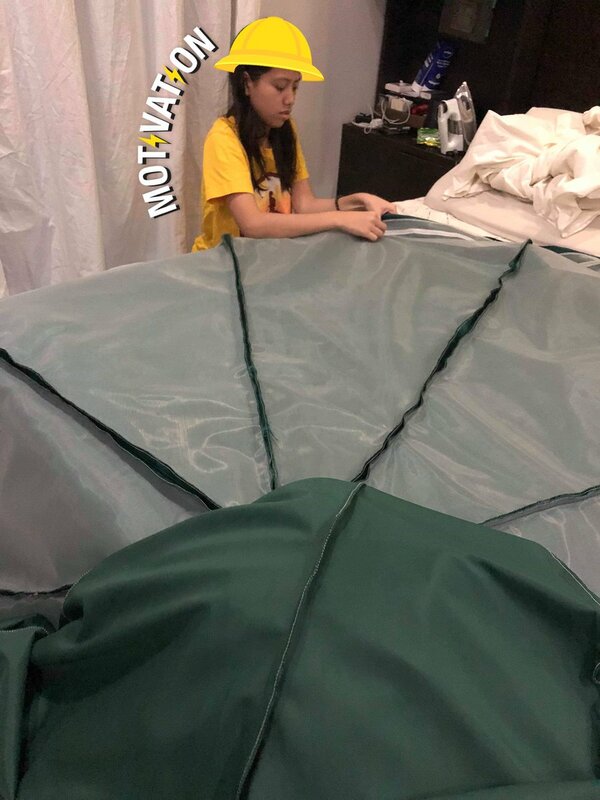 Ciara Gan who recently graduated from senior high school Colegio San Agustin-Makati from the Philippines has always loved trying new things and this time, she took her creativity and effort to the next level. Ciara sewed and designed the gown for the graduation ball from scratch and suffice it to say, she has done an incredible job! 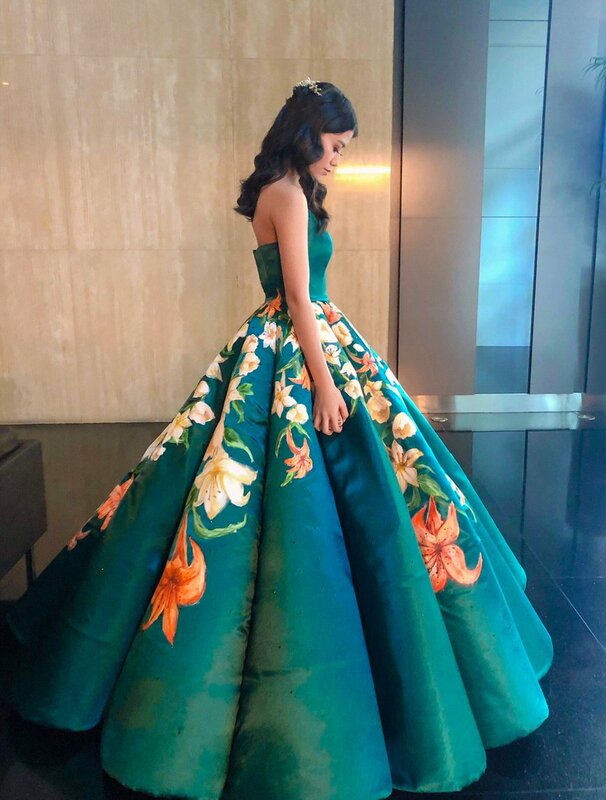 The gown is truly elegant and unique as she even painted blooming lilies on the green color of her gown. She then took to her Twitter account to share the photos of the beautiful gown where the post quickly amassed over 382,000 likes and 82,000 comments with tons of praises from the users. 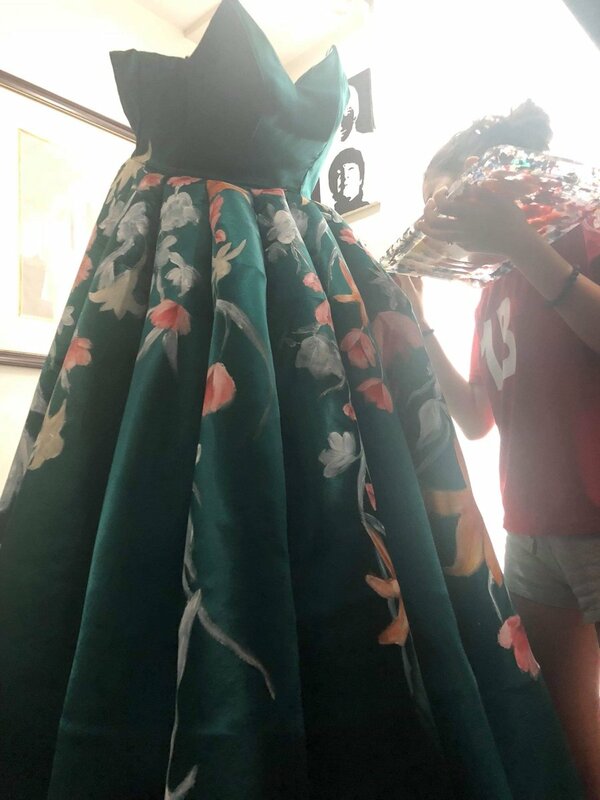 “I made and painted my own gown for my graduation ball! I painted over 80 flowers, sewed + stoned my dress with my mama and designed the whole thing myself!” she wrote in her post. According to the talented young artist, Ciara said that she wanted the gown to artistically represent her personality and interests. “I have been in love with lilies for the longest time,” she told ABS-CBN News. “I wanted my gown to be a manifestation of who I am and the things that are closest to my heart, like the color green and the vibrant colors because that’s who I am,” she continued. She took a month to come with the concept and the draft of the design. It took her another a week and a half to sew it and five days to paint the flowers. “I made the dress during our graduation practices so I was jumping between school and home,” she said. Ciara is planning to further her studies in BS Management Information Systems in Ateneo de Manila University soon. អ្នកវិទ្យាសាស្រ្តស្រឡាំងកាំង! ពេលរកឃើញសាកសពត្រីបាឡែនប្រវែងជាង ១០ ម៉ែត្រនៅព្រៃអាម៉ាហ្សូន ដែលមានចម្ងាយច្រើនគីឡូម៉ែត្រពីឆ្នេរសមុទ្រ! ជួយក្មេងប្រុសអនាថាម្នាក់នៅរដូវរងារ ២០ ឆ្នាំក្រោយ គេបានត្រលប់មកវិញ និងធ្វើរឿងមួយមិននឹកស្មានដល់!